The Apex Court dealt with a very interesting question as to what is a conspicuous place for posting of a Public Notice under land acquisition law which if not read might affect rights of several persons. It has held that Office of the Collector, Panchayat Office, Office of Tehsildar, Office of municipality, railway station and bus stand, etc. of the local area are public places and are expected to be visited by general public, so they can safely be assumed as conspicuous places for making a declaration under an Act. The Bench comprising of Justices Sudhanshu Jyoti Mukhopadhaya and Vikramajit Sen allowed the appeal filed by Karnataka State whereby it has upheld the provision of Section 9 of the Karnataka Municipalities Act, 1961 and the notification issued in reference to that. The brief facts are that the Government of Karnataka initially proposed to alter the existing limits of Town Municipal Council, Sedam for inclusion of Survey No. 630-642 within the municipal limits of town municipality. It invited objections and suggestions to the proposal from persons likely to be affected therein. It then notified that having received no objection from persons likely to be affected within the said period of 30 days from the date of publication of notification, Governor of Karnataka specified the smaller urban area and further specified it to be called Town Municipal Council Area of Sedam. The case of the 1st respondent was that the notice has to be posted in area sought to be added or deleted in smaller urban areas, but it was not posted in the area of his factory which is a large area of around 1235.03 acres and is an inhabited area with housing for workmen, management, etc and has mini townships. It has not even been posted in any other area sought to be included. The appellant while assailing the impugned judgment, submitted that the procedure prescribed under Section 9 of the Act is substantially followed and complied with in this case and notice had posted announcing the inclusion of the local area within the existing municipal limits in all the conspicuous places, calling for objection from the public within 90 days but no objections were received within the time stipulated. 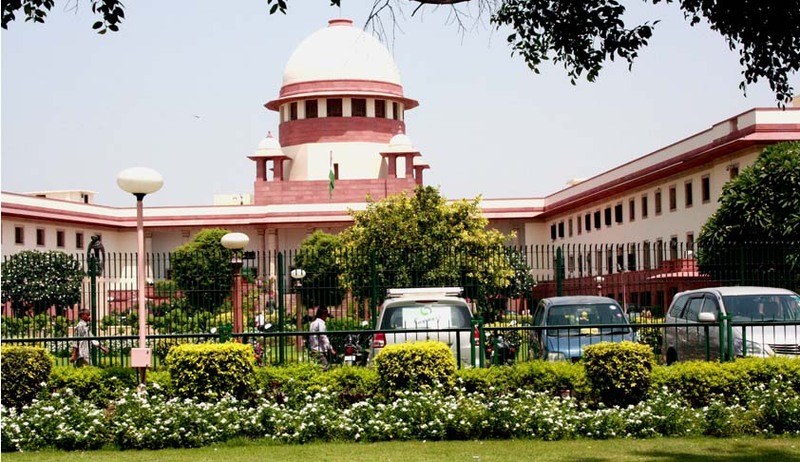 Court held that Section 9 of the Act has to be read in the light of Article 243Q of the Constitution of India and that the Provision of Section 9 is somewhat similar to Section 4 of the Land Acquisition Act, 1894 where under the posting of the notice in conspicuous/convenient places is mandatory. It held that if the argument advanced by the 1st respondent is accepted, in that case every affected person whose land is sought to be included for the purpose of alteration of the limits of the smaller urban area would claim that such notice must be posted in his land. That the notice was posted in the Office of the Collector, Panchayat Office, Office of Tehsildar, Office of municipality, railway station and bus stand, etc. of the local area which are public places and are expected to be visited by general public for one or the other reason and can be safely expected to be conspicuous/convenient places for posting a notice about such a declaration. If notice was posted within the township of 1st respondent, then other affected persons might not have any access to such notice, as posted not on a public place. In such case, every individual/affected persons will claim posting of such notice at their land which will amount to giving individual notice to all affected persons. The judgment undeclaredly goes hand in hand with the relative criminal law jurisprudence for posting of wanted posters for proclaimed offenders, history sheeters etc at public places. Such places have to be chosen tactfully so that more views are recorded in less time. In land acquisition jurisprudence, for such public notices, even more caution needs to be taken care of as it involves huge amount of money and basic rights of citizens at large are involved. This also dates back to the doctrine of individual responsibility for collective conscience under common law designed to address issues for public at large.